The CREASAT was designed on the concept that valuation is a highly technical function requiring the application of various disciplines such as law, economics, finance, marketing and engineering. All these applications are covered in the subjects comprising the course. The CREASAT provides participants the required knowledge and the skills to perform property valuations in line with internationally accepted standards and best practices. It also provides participants the required credit hours/units to take the licensure examination for real estate property appraisers as prescribed by the Real Estate Service Act of 2009 (RESA). Philippine Association of Realty Appraisers, Inc.
Just clearing what do you mean by 120 units earned on real estate subject, I am employed more than 10 years in the Municipal assessor Office, assessment clerk, i have not earned 120 units, i like to take appraiser exam, what should i do? Thank You and more power..
[From the Admin] People who applied for the PRC’s Examination Permit submitted a Certificate of Attendance issued by review service providers of 120-hour Comprehensive Real Estate Seminar and Review. You’ll need to enroll in those 120-hour review seminars in order to secure the Certificate of Attendance. Thanks! is there any extension regarding the july 30, 2011 for registration w/out examination for appraiser, i’m from the province and heard this only this month and theres no CPE providers will give a seminar for this. Pls. I conduct CREASAR under you PARA on 2002. [From the Admin] Hi! We haven’t heard of any extension. If ever there’s news about that, we will post it online. Thanks! hi! I am amor.. just want to ask from you if you still have another schedule of seminars, because my husband needs 14 hrs. to complete the CREASAT. [From the Admin] Hello! If ever we find available slots, we will let you know right away. Thanks! Good evening, just want to inquire if there is already official announcement from the prc regarding the schedule real property appraiser examination and when is the deadline for filing. tnx. [From the Admin] Hello! We haven’t seen any official announcement from the PRC, but some Real Estate Appraisers’ Exam review service providers have been talking about a July 31, 2011 exam date. Based on past experience, the deadline for filing for an examination permit is around 3 weeks before the actual exam. 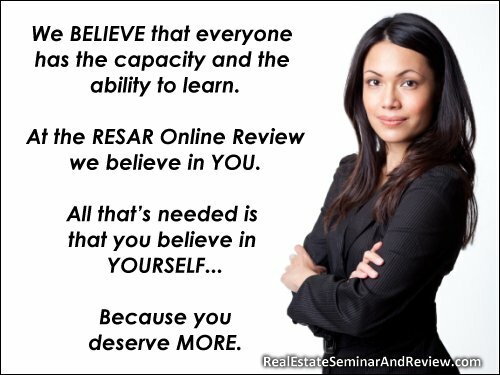 we really would like to take the real estate brokers exam this nov 2011. We just want to have a contact person who can tell us (we are 4 in a group) WHAT TO DO and where to enroll…please tell us? [From the Admin] Hi! We sent you email with the details. Thanks! i fell short of 1 credit unit for the 120 credit units as required by the law inorder for me to register without examination. are there any institution providing seminars for short periods? [From the Admin] Perhaps you can earn that remaining 1 credit (1 hour) via OJT at a reputable real estate appraisal company. Kindly check with PRC which companies they will recognize (OJT Certification). Thanks! hi! my uncle wants me to take the appraiser examination for it’s one of the requirements for municipal assessor. he will retire for the next 2 years. is this the review center for the said examination? what are the requirements in taking the said exam? please help me. thanks and more power! [From the Admin] Hello! You need to be a Filipino citizen, a holder of a college degree, and you should have earned 120 units in real estate subjects before you may apply for the Exam Permit. Thanks! final na po ba skd exam sa july 31, 2011 for real estate appraiser? [From the Admin] We’ve been hearing that July 31, 2011 date from various people, but we have not seen any official announcement from the PRC. Thanks! Hi what is the best review center for REA in terms of passing percentage, Cesar E. Santos or PARA? [From the Admin] Hello! We don’t have access to such data. But we do know that if you take the review seriously, and allot enough time and preparation, you will pass the Real Estate Appraisers’ Exam. Thanks! [From the Admin] We checked the PRC’s 2011 Schedule of Exams, but did not find any schedule for another real estate brokers’ exam in 2011 (after the March 27 REB Exam). As soon as we get official word on when the next REB Exam will be held, we will post the info online. Hi again, is there a requirement of 5 years experience as REB to be qualified to take exam on RE Appraiser? [From the Admin] Hello! There’s no 5-year REB experience required before you may take the REA exam. a) what are the requirements for PRC RE Appraiser exam? b) is there any institute that offer Review Serminar? Venue? When? We’ve heard that PARA as well as the Cesar Santos Real Estate Academy can handle review classes for aspiring Real Estate Appraisers. [From the Admin] It may be better if you get in touch directly with PARA at +63.2 813 2708 (We tried calling them, but they didn’t have info yet about a future seminar). when is your schedule for the creasat? should i complete and earned units from the creasat, can my 60 hrs earned from brokerage seminar and 60 hrs ojt in brokerage be used in lieu of the remaining 60 units ojt for appraisers just to qualify for the application for appraisers exam? [From the Admin] May we know what is written in your Certificate of Completion? If the certificate says you earned 60 units of real estate subjects for the real estate brokers’ exam, then you may have a challenging time convincing the PRC that your certificate can be used for the real estate appraisers exam. Still, it won’t hurt to ask the PRC and your brokerage seminar service provider. Thanks! is the cpe units to be earned in creasat enough for the appraiser’s exam appilcation?is there no more additional such as ojt hours? [From the Admin] Based on the RESA Law IRR (RA 9646), you’ll need 120 units in real estate subjects. Most likely, these will have to be real estate appraisal subjects. If the CREASAT only offers 60 hours, you will probably need 60 hours of OJT (real estate appraisal). can a non broker but already have attended 60 units cresar attend d creasat? [From the Admin] Yes, non brokers may attend. In fact, there are some people who took the March 2011 real estate brokers exam, and are also preparing for the RE Appraisers exam of 2011.
hello…when is the next real estate broker’s exam after the march 27?do u have planned seminars and review in preparation for this? [From the Admin] We haven’t seen any formal announcement yet from the PRC. Perhaps that’s why Comprehensive Real Estate Seminar and Review or CRESAR review service providers haven’t made any announcements either (to the best of our knowledge). The RESAR Online Review accepts enrollees every day. please provide me with the exact date of seminars and the payment as soon as possible because i will still be coming from baguio and i am working. i hope i can make it on time for the enrollment. thank you very much. can you provide me with a detailed schedule of the CREASAT you will be conducting for the May 29 examinations. i hope i can make it on time. Thank you. [From the Admin] Hello! It would help if you would directly get in touch with PARA. Thanks! [From the Admin] Hi! As soon as we hear of CREA seminars organized in various places in the Philippines, we will post the info here. Perhaps you can get in touch directly with PARA for their seminars in Cebu… Thanks! I’d like to know if there is a CREA seminar and training to be held in Cebu? [From the Admin] Please get in touch with PARA regarding their Cebu-based seminars. Thanks! Hi, please advise if PRC is also starting to accept for real estate sales person accreditation? will the 120 cpe units for broker’s examination be considered in compliance with the CPE units for a sales person? [From the Admin] It’s possible for the 120 CPE units for the brokers’ exam to be considered in compliance for the CPE units for a salesperson. But once you use those units to gain accreditation as a real estate salesperson, we’re not sure if you can use those same units (or same certification) when applying for the Real Estate Brokers Exam permit at the PRC. Thanks! We have two personnel with 10 years experienced to be sent to the CRESAT. [From the Admin] Hello! It would be better if you would get in touch directly with the PARA Secretariat. Thanks! I’d like to take REB exam to be given this May 29, 2011. I’d like to inquire if there is a CREA Seminar and Training to be held in Cagayan de Oro City. [From the Admin] Hello! We haven’t heard of any CREAs in CDO, but if ever we receive news of people offering CREAs in Cagayan de Oro City, we’ll post it online. Thanks! [From the Admin] Some friends called up PARA and found out that they’re already full. They’re not sure if they will open their doors to more reviewees in the future.